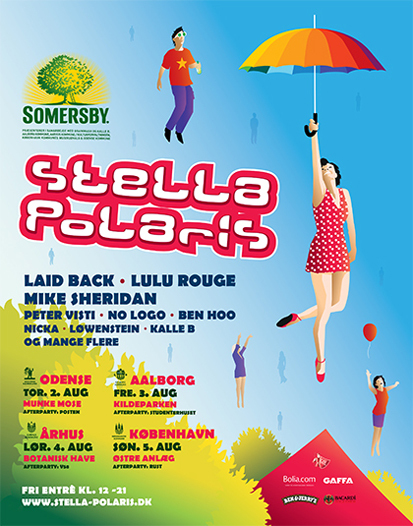 And so its Stella Polaris time once again, Denmark’s biggest and more importantly our favourite chill out event. Stella Polaris is spread over four days between Denmark’s biggest cities. It starts this thursday and once again they have not disappointed us with the line up. Read more about the Stella Polaris program and when it is going to hit your town. Pack your Picnic bag, Fold your blanket and come, enjoy a day of fantastic music along with all the beautiful people.